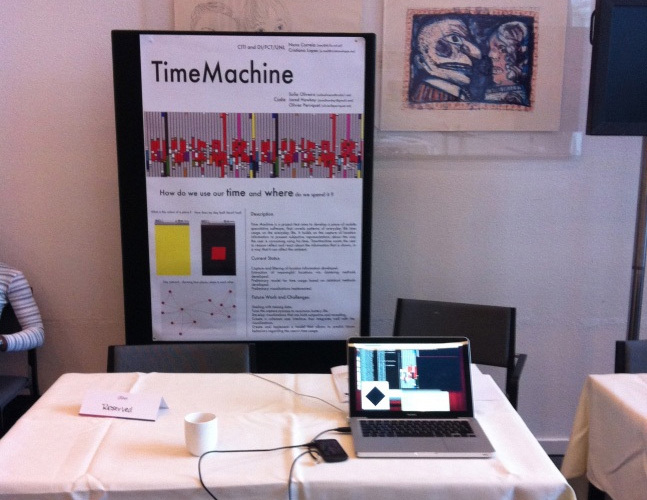 AmI–11, International Joint Conference on Ambient Intelligence, Amsterdam, the Netherlands. 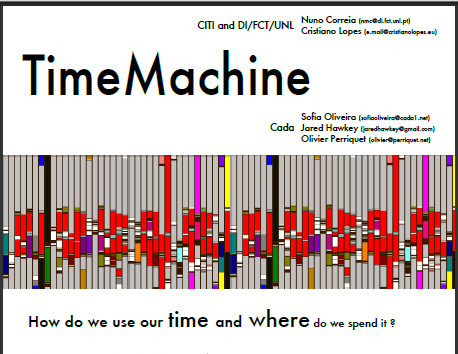 ‘TimeMachine’, poster and demo, Nuno Correia, Jared Hawkey, Sofia Oliveira, Olivier Perriquet, Cristiano Lopes. November 2011.